A Statue of Diablo Itself? That'll Cost Ya. 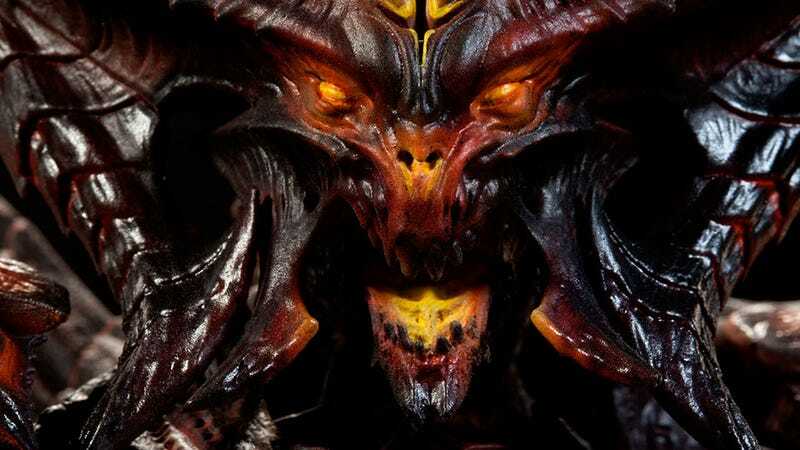 First shown off in unpainted form earlier this year, Sideshow's enormously fancy Diablo statue, from Diablo III, is finally going on sale this Thursday. The poor thing's in a weird place. I always feel bad for the artists and designers who come up with great-looking characters—which in turn make for great collectibles—only to see the fanbases for their games die away like they have for Diablo III. Priced at $350, there's more info at the link below.